One summer day when he was 12 years old, my son declared with delight that his application to join a prominent Minecraft server had been accepted. He had discovered this server through the Machinima.com “Top 5 Minecraft Creations” series, which featured the winners of challenges like building castles or gardens. He started at the bottom of the ladder in the server hierarchy, gradually earning his right to a larger plot of land, and learning from some of the best builders in the scene along the way. Eventually, he became an accomplished builder and redstone specialist. Now a high school freshman, I’ve recruited him and seven more of his high school gaming buddies to be volunteer counselors to teach younger kids how to build and code in our Summer of Minecraft camp servers. 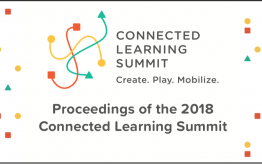 One of the core tenets of connected learning is that peer supported learning is both engaging and efficacious. When young people share interests and purposeful activity, learning happens as an organic side effect of creating, competing, and mobilizing. We’ve all seen the power of peer learning and mentorship in action. The team captain models a play for new recruits. “Beta readers” in fan fiction groups review one another’s work before it is published online. Kids gather in the playground to debate the merits of different Pokemon cards and decks. But, what does it mean to support these kinds of interactions through educational programs? After spending many years observing youth learning and geeking out together over shared interests, my burning question is: how can educators support and spread this kind of peer learning? I’ve puzzled over how some, but not all online affinity networks, are characterized by a culture of learning, excellence, and civic engagement. All of these high-functioning affinity networks have community values that reward expertise and high standards, as well as moderators and organizers that actively model, enforce, and support these values. The Minecraft server that my son joined aspired to ambitious shared creations, and was a peer-regulated space that rewarded helpful behavior and high quality contributions to the community. 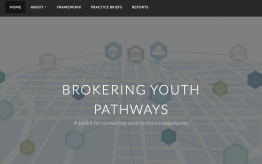 Building on two decades of research on online affinity networks, I’ve worked with my team to support different forms of peer teaching and mentorship around youth-friendly digital interests. I helped Tara Tiger Brown and Timothy Young run programs to match experts and new players in Starcraft II. 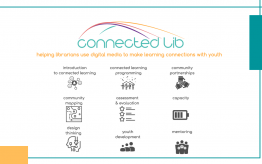 Last summer, as part of the Connected Learning Alliance, we ran programs in Scratch programming, #phonar digital storytelling, Arduino, webmaking, and Minecraft. The magic of peer interest-driven learning and mentorship is challenging to orchestrate. The successful online groups that I’ve studied emerged from a large number of failed attempts and communities that were launched but abandoned over time. The Internet is littered with web forums, Facebook groups, and Minecraft servers that were launched with lofty goals but have not seen activity in years. It takes time, dedication, and iteration to get the alchemy right, and to build a community. After three years of design research, we are seeing our efforts bear fruit. The Minecraft program was a late addition to a busy summer of online learning opportunities that the Pursuitery team supported last summer, but before we knew it, we had 250 kids signed up. Our server from last summer continues to be home to a committed group of Minecrafters. This summer, we have doubled down on our efforts to support a robust learning experience through Minecraft, and have launched a new benefit corporation, Connected Camps, which together with the Institute of Play, will be presenting Summer of Minecraft. We have beefed up our challenges and in-game events, and have scaled up our cohort of counselors to meet the demands of a larger program. One of my happiest moments in pursuing this project was when we had our first co-design meeting with potential high school teen counselors, including my son. We were trying to glean what teen experts in Minecraft would think of teaching younger kids as a service-learning opportunity. They explained how most of the fun of Minecraft is hanging out on servers with their close friends, and “Internet children” can be irritating. But, when we explained that they would have the status as mods and leaders in the community, I could see that the frame of reference shifted. On top of that, offering gamers the opportunity to give back through a game that they love and are genuine experts in was clearly a rare opportunity. “You mean I can do community service and not have to be outdoors?” remarked one of our counselors with a grin. Their parents also see this as a welcome shift. “We never expected that something good would come from all of those hours with Minecraft.” To me, this is the essence of connected learning, that magic moment when something you do for fun and camaraderie leads to an opportunity to be recognized and make a contribution to society. We expect to be launching our camp with more than 30 high school counselors and 13 college counselors, who will moderate our servers and help campers with their building and coding. These are teens who have spent countless hours honing their Minecraft skills through their middle school years, and many were on the verge of aging out the Minecraft scene. Our Minecraft summer program provides new purpose to their Minecrafting. My son, who hadn’t touched Minecraft since he started high school, has renewed his interest — helping to facilitate our camp trials and tests, and creating a redstone calculator for fun. Our servers will open to hundreds of young campers on July 6, and the focus will be on providing them an awesome summer learning experience. I am confident that our high school and college counselors will be the warm beating heart of our servers, and that the younger ones will find in them the best kind of mentors — kids who have more experience and expertise, but with whom they can still identify and mess around. And, I expect that the learning our teen counselors experience is likely to be as profound for them as for the campers they mentor. Calling all Minecrafters! Our doors are still open for campers, high school counselors, and educators who want to take part in our Summer of Minecraft.